We know. 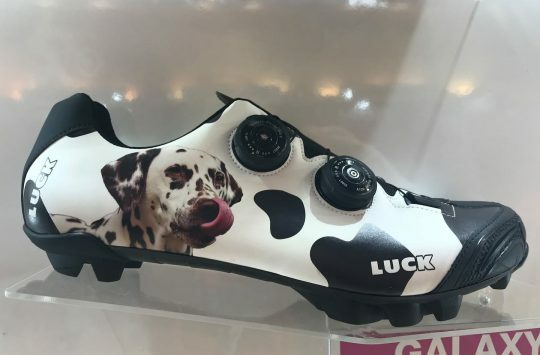 These aren’t mountain bikes, are they? 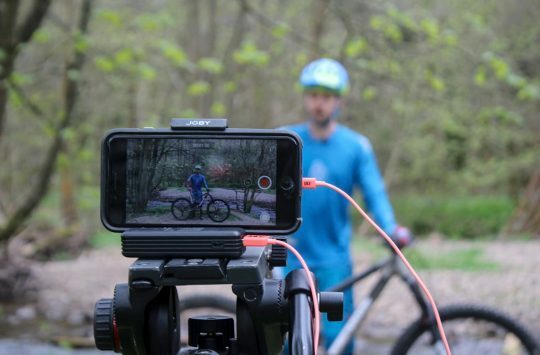 If your nostrils are offended by the stench of non-nobbly, 20″ rubber, then we suggest you head over here to look at some bikes with suspension instead. 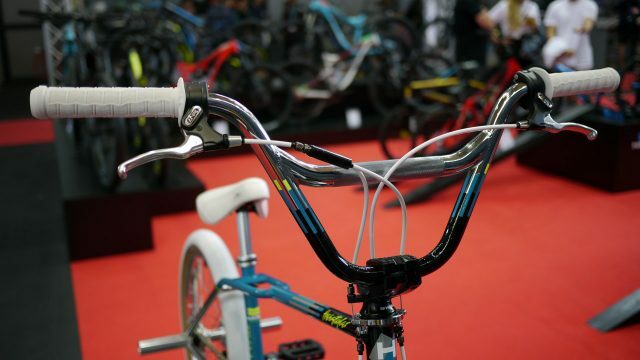 The rest of you: We know, both from the forums here, and from the occasional Monday Night Pub Ride sojourns to The National Cycling Centre BMX track, that plenty of people around Singletrack have more than a passing interest in bicycles of the BMX variety. 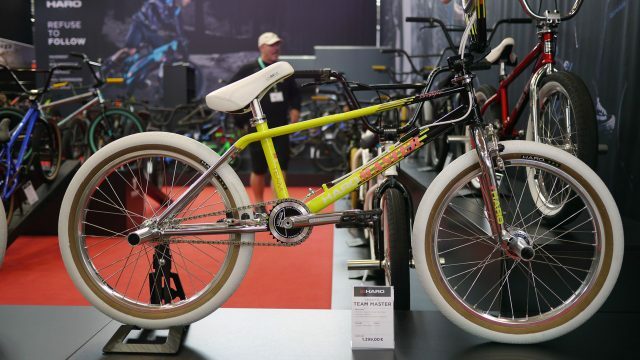 There are plenty at Eurobike that never get on our radar, but these two not so much. 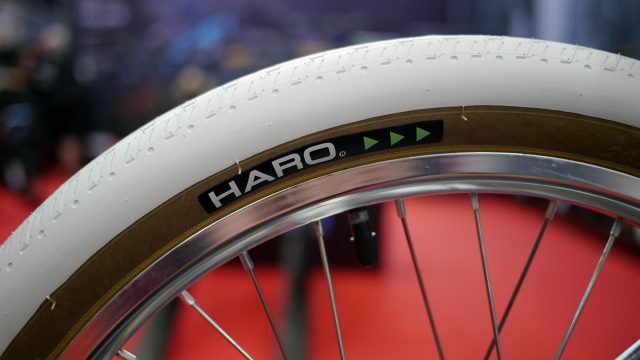 We kept passing Haro’s stand and involuntarily drooling, and now you can too. As anyone who’s bought a retro BMX for £25 off eBay then spent another £250 getting it back to near pristine condition *cough*might-be-me*cough* may have found, doing up a retro BMX isn’t necessarily easy – for a start, it can have all sorts of obsolete standards on it, leading to frenzied component hunts. 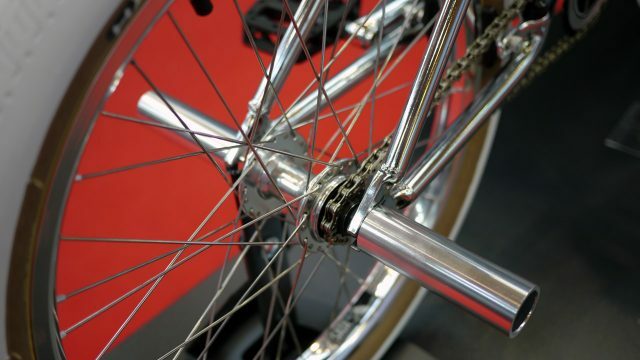 When you eventually fail at that and capitulate to marching standards, by putting modern bits on an old frame, it’s very easy for the bike to end up just looking… wrong. 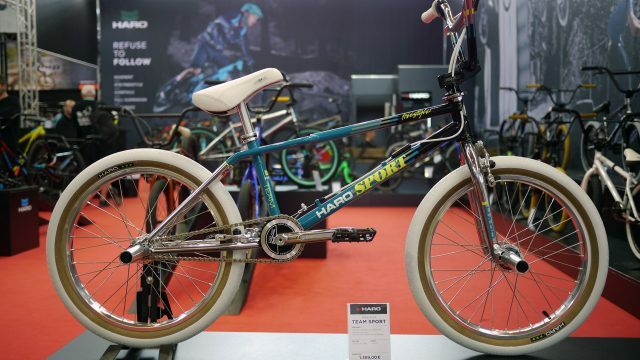 While compared to that, these two bikes certainly aren’t cheap at just shy of €1400 each, Haro have skilfully trodden a very fine line between retro tribute and modern bits. The result is so stunning that it took us a little while to spot the top loading stems, three piece cranks and 28/9t gearing. 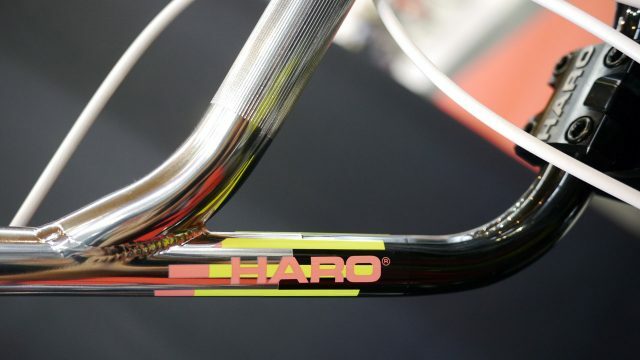 The Haro Lineage Team Sport costs €1399. 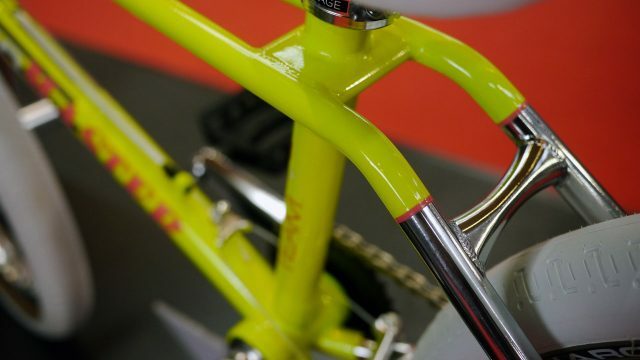 It has a wishbone top tube and a 100% chromoly frame. 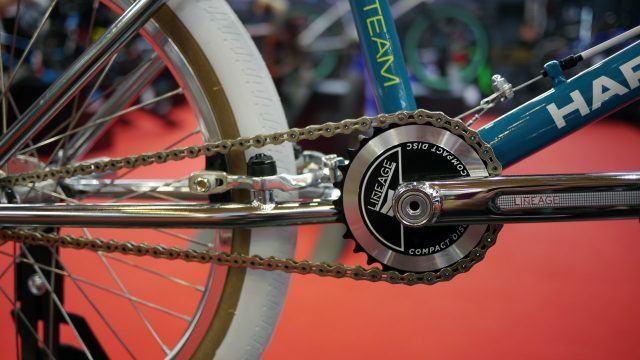 A modern drivetrain and three piece cranks are nicely dressed up in retro styling. Four stunt pegs for ambidextrous tricksters. 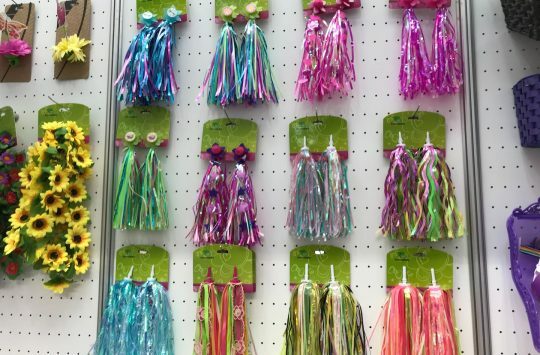 Or perhaps people with symmetry related OCD. 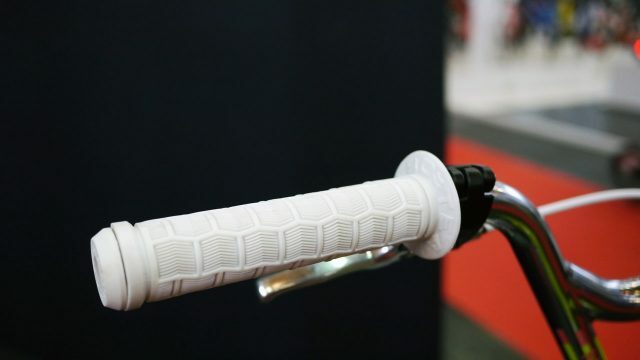 How long the rubber stays white depends on how long you can resist riding it. The paint jobs have high quality and attention to detail, such as this pinstriping near the seatstay bridge. 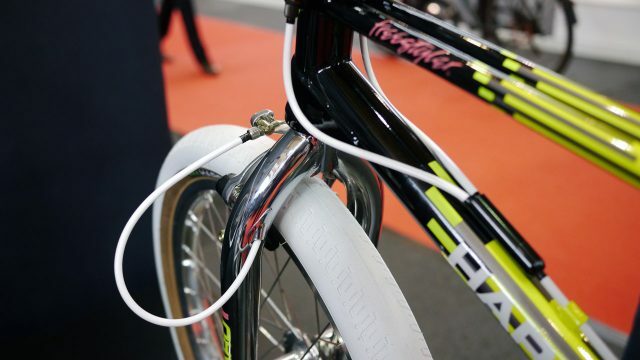 The front brake has internal routing through the fork, and the back a gyro. 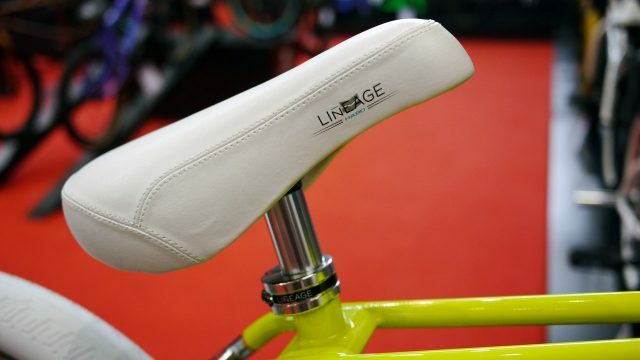 The Lineage Team Master also costs €1399. 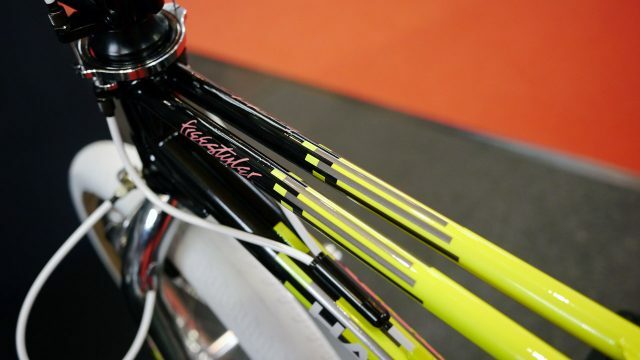 The biggest difference between the Sport and the Master is this twin top tube. Oof! That 80’s salmon pink. 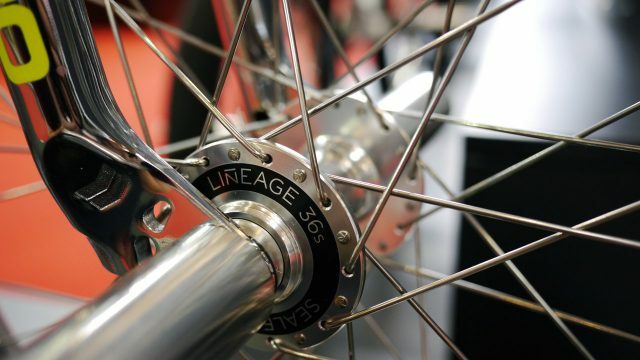 Stainless spokes and 36 hole hubs. Even the seats are specifically branded for these editions. 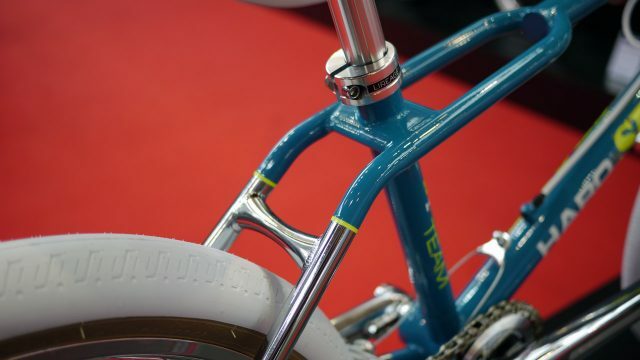 Very neat internal brake routing through the fork. Again with the bar colour matched to each frame. 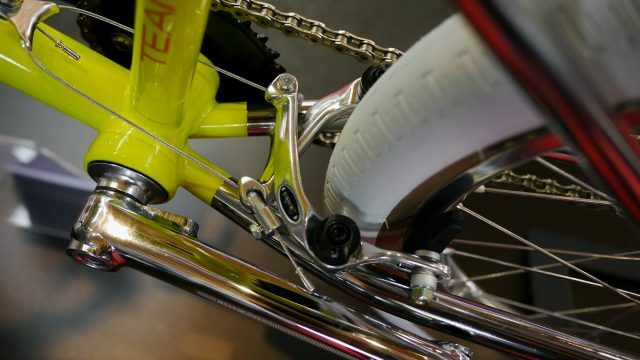 Nicely finished brakes next to a KMC chain. 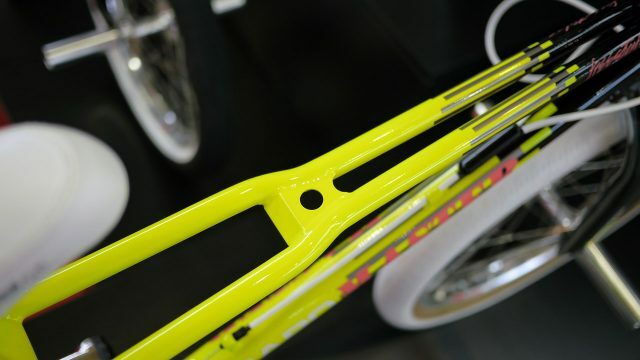 Like the Sport, the Lineage Team Master also has fine detailing on the paintwork. 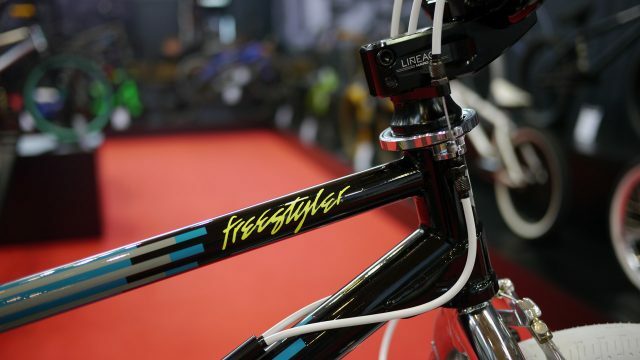 You can read more about the Lineage Team Master here, more about the Lineage Team Sport here, and don’t forget you can read all of our coverage from Eurobike on the tag STWEB17. 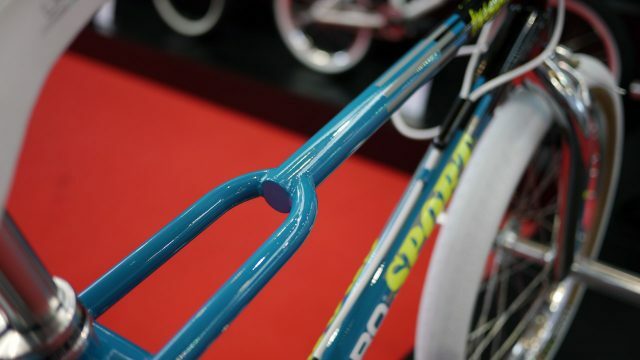 roughly eleventy-billion things were announced and shown at Eurobike, and we bagged rather a lot of them. 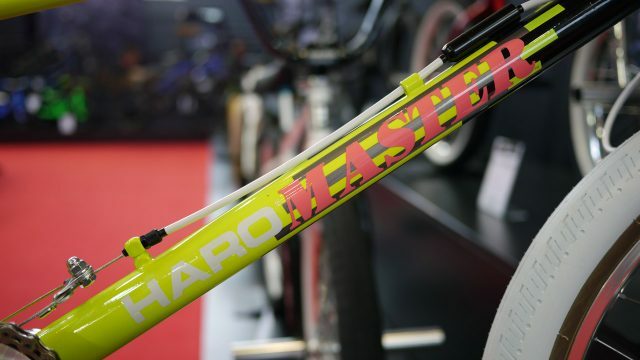 My old riding buddy John Buultjens from Dundee is the man responsible for these – I used to have a 1988 Haro Master – same bike (in different colour) that the Yellow master above is a homage to.